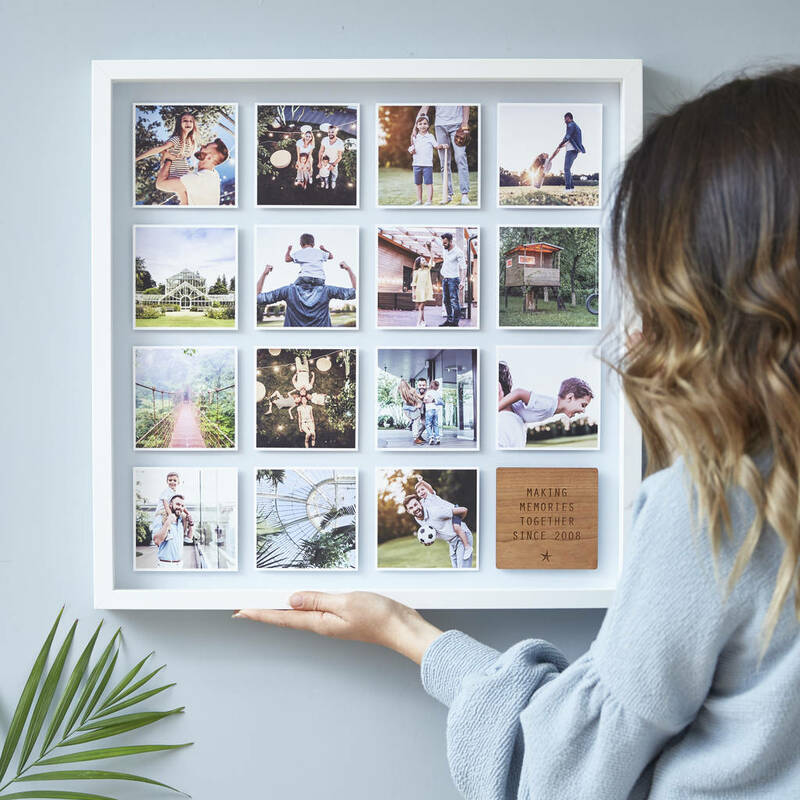 Our Personalised Framed Family Photo Print lets you share your favourite moments in such a beautiful way. 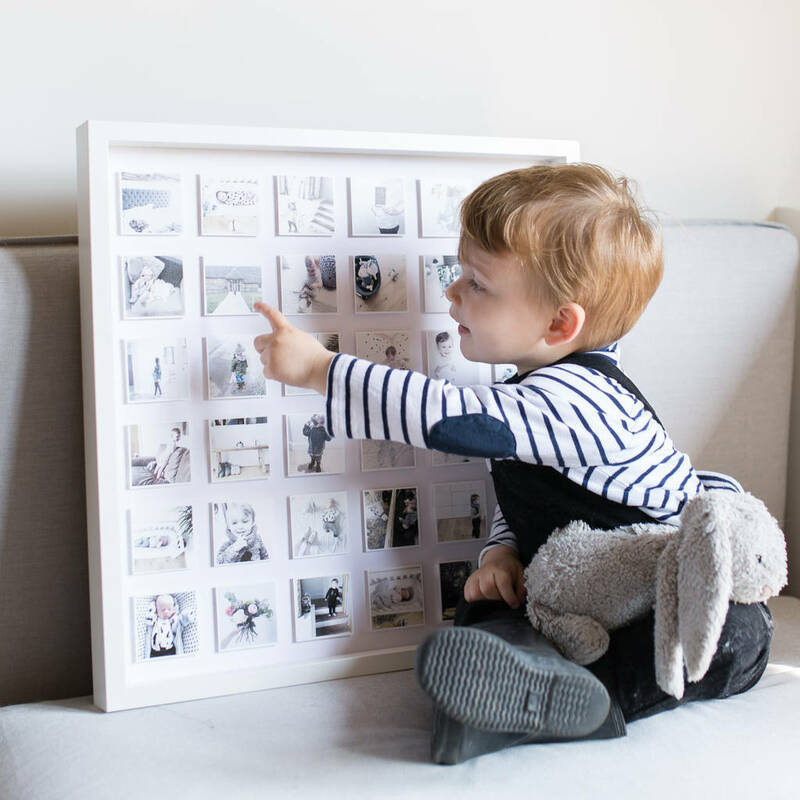 With your chosen number of photos, background colour and wooden plaque message, your framed family photo print will fit perfectly in your home. 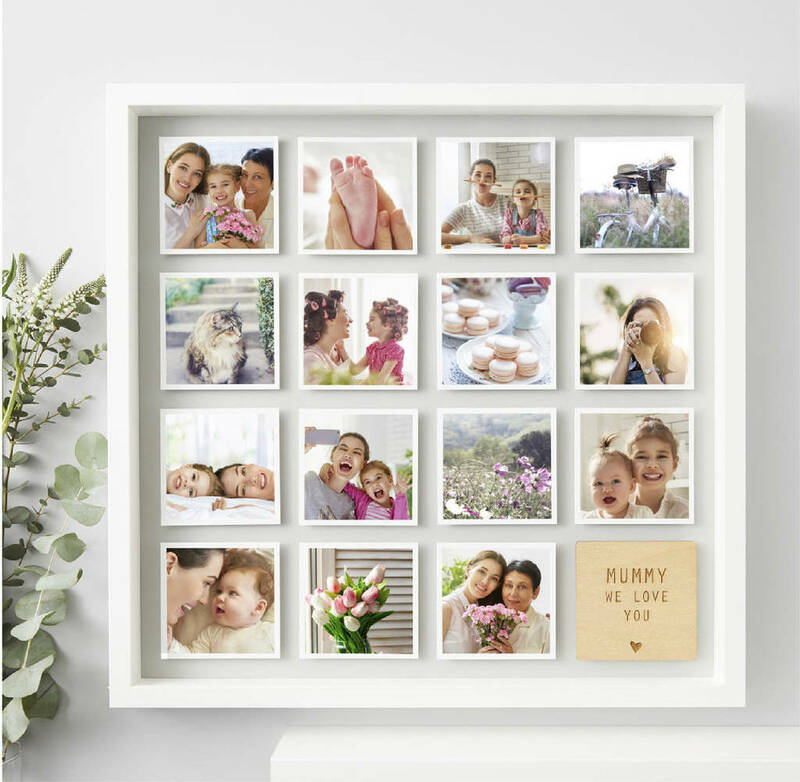 We will transform your special family photos into a beautiful framed print which is sure to be loved by everyone. Add a personal finishing touch with your own message carefully engraved into your wooden plaque. Please note: Our larger frames take an extra day for delivery as these are sent via a tracked courier delivery. Please take this into account when placing your order. 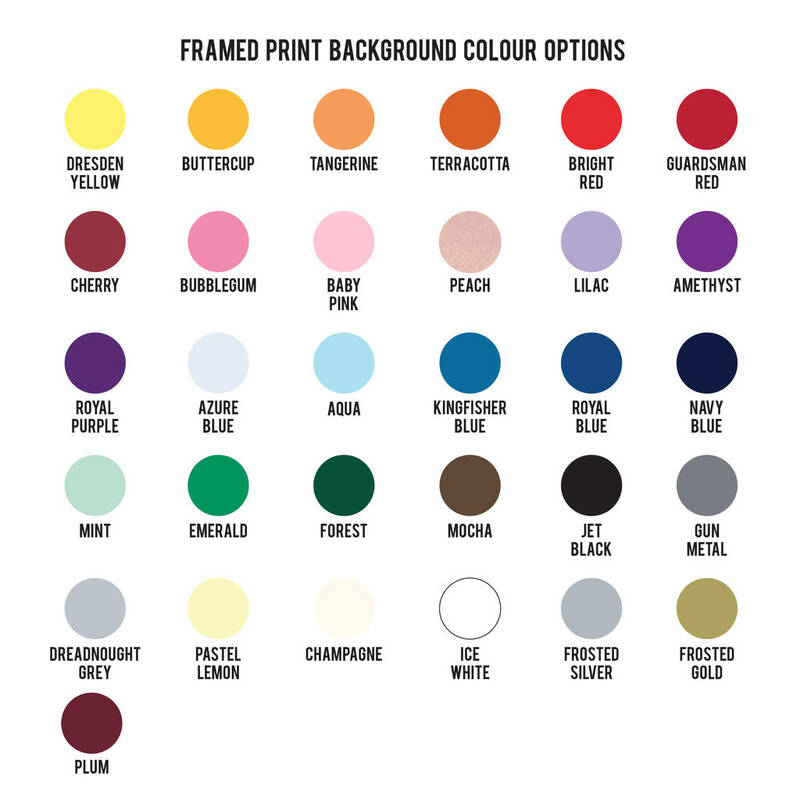 If you request a proof for your cropped images we will send this via an order enquiry before printing. This may delay your dispatch date. 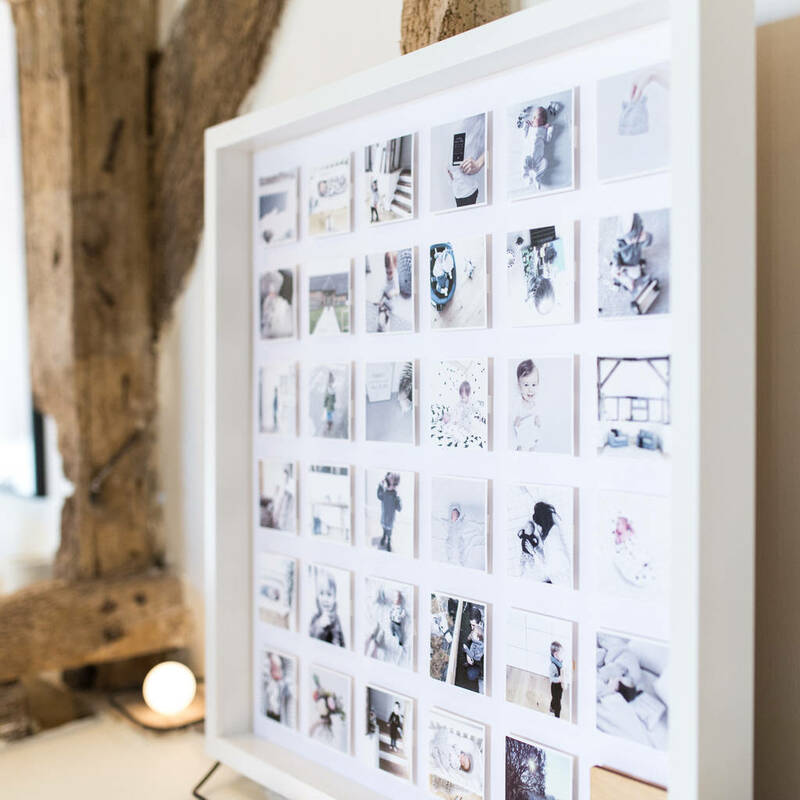 Our personalised prints are made using high quality card and are beautifully finished in a wooden box frame. Our prints are hand finished by our in house team. 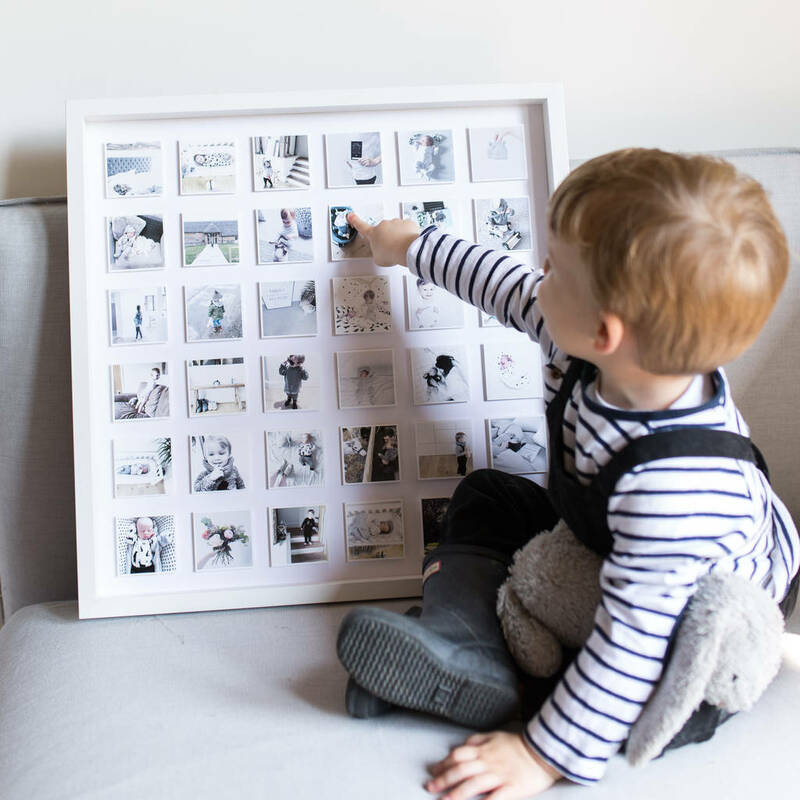 These prints are available in two sizes, three photo quantities and a variety of different colour options, this framed print is the perfect way to share your treasured family memories. 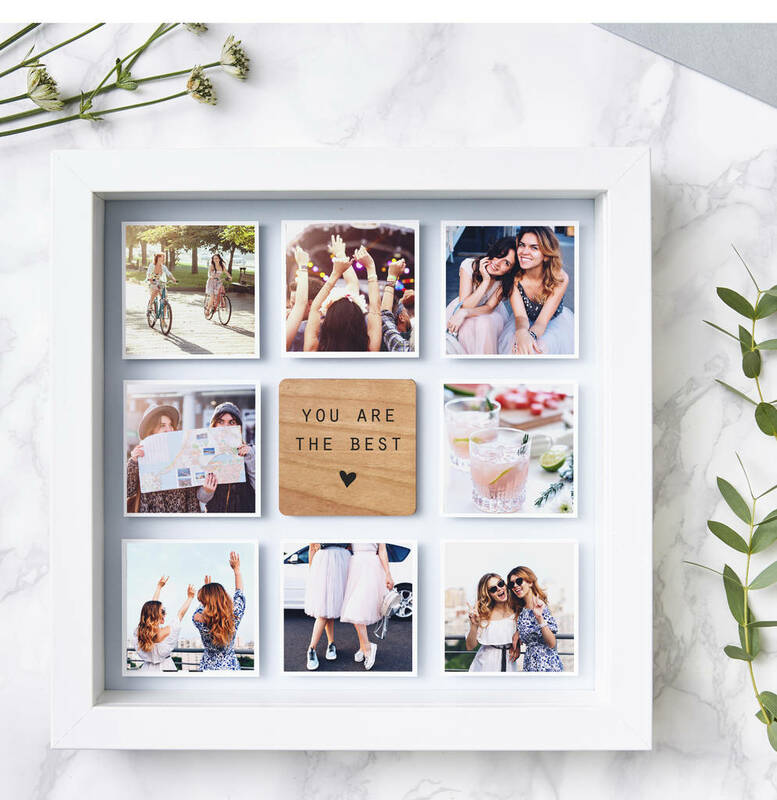 Sending your photos couldn't be easier, once your order has been placed you will need to go to ‘my orders’ section. Here you can then create an order enquiry where you can attach the photos you would like to use. If you have a particular order that you would like your photos to appear, please ensure that each photo is numbered. We will start with number 1 in the top left corner and work to the right to create your framed print. If you do not mind the order then please let us know, and we can work out the best composition for you. If you have any problems, please get in touch via the ‘ask the seller’ button and we would be more than happy to help. These prints are available in two sizes. Medium - Outer frame measures 10” x 10”. The Inner frame measures 8.5” x 8.5”. Large - Outer frame measures 20.5" x 20.5" . The Inner frame measures 19" x 19". Hook included on reverse of frame for hanging. Our frames also look great when freestanding.